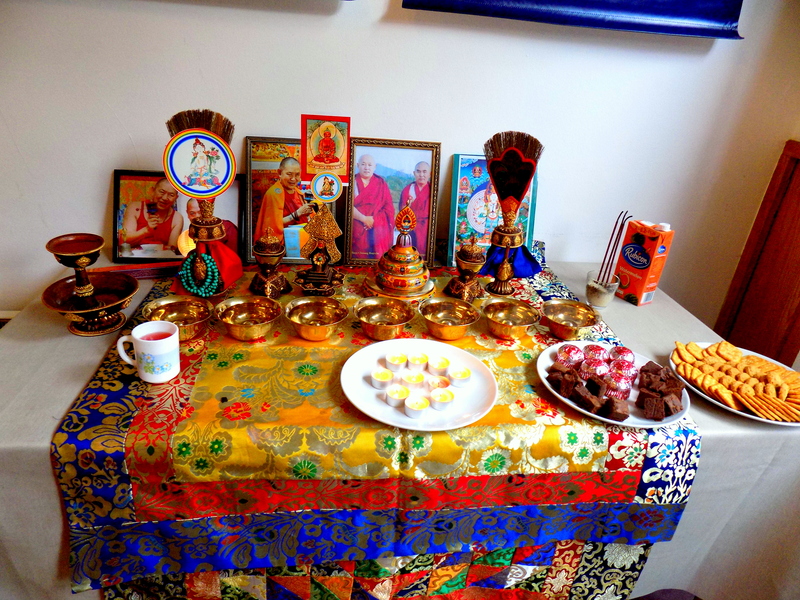 We are a group of practitioners in Edinburgh, under the direction of the spiritual leader of our group, the Venerable Dorzin Dhondrup Rinpoche. We very much welcome others to join us, if you are new to Vajrayana Buddhism you are more than welcome to come along and find out more. Each meeting includes time for a guided meditation at the beginning, then different topics for discussion, and the opportunity to join us in Deity Mantra recitation in the last half an hour (explanation provided). 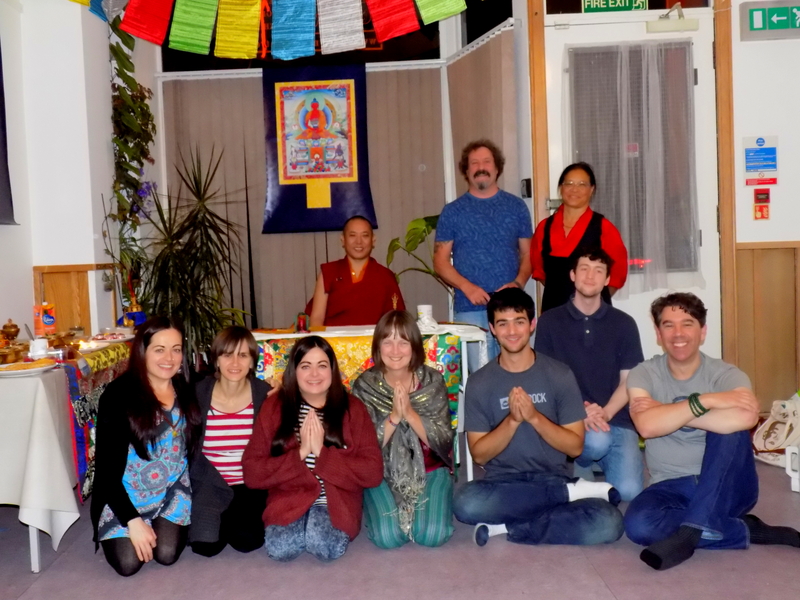 No experience required, if you wish to stay just sit in contemplation or join in the mantras – whatever suits you! At present, Gar Trinley Yongkhyab Ling has no resident teacher, however those wishing to make a connection with the spiritual leader of our group, the Venerable Dorzin Dhondrup Rinpoche, are encouraged to do so by attending our Skype teaching sessions (see events section), when Rinpoche will tune in live from Singapore to offer instruction and guidance. Meanwhile, all are welcome to sit with us, meditate and/or join in the chanting to whatever degree they are comfortable. It is a wonderful experience, and a great way to immerse yourself in Tibetan Buddhist practice and become part of a growing sangha.